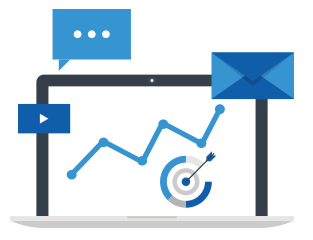 BlueWing Hearing Care uses our proprietary reporting portal to analyze your marketing results on a whole new level. We collect a vast amount of data points that are organized, managed and analyzed in an easy to explain format. Stats on leads: Traffic to your website, leads from forms and calls and key search terms are among the statistics collected and evaluated. Stats on patients: What demographic responds best for direct mail? For digital advertising, our data exposes important information about your customers for smarter marketing (our secure network is fully HIPPA compliant). Stats on campaigns: Every marketing campaign is followed with a call tracking number to measure calls and response. We drill down to analyze the performance of each media and calculate the cost per appointment (CPA) and cost per sale (CPS). Stats on ROI: By sharing your sales data, BlueWing Hearing Care can matchback campaign response and see the path from lead to sale, showing your true return on investment. What is the Data Telling us to DO? All of this data is useless if we don’t derive actionable learnings from the numbers. Your dedicated account executive summarizes these tools and reports for you, and fine-tunes your marketing strategy based on their outcomes. We track the best performing campaigns and adjust the lower performing ones to keep elevating your sales and patient retention. Our advanced reporting tools give us quantifiable feedback holistically and specifically, on every campaign. As a business owner, you know that real results don’t come from trying something and crossing your fingers. Our strategy is driven by data, and our results are proven by data.